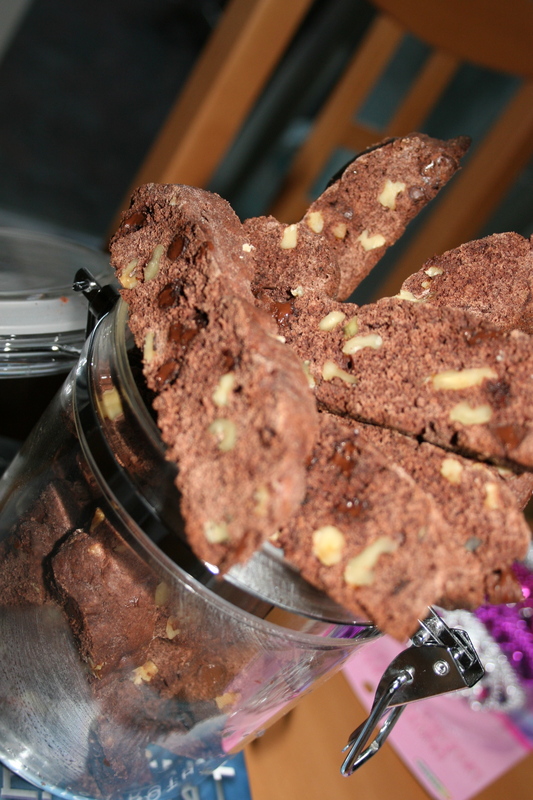 You might think that Biscotti is a bit unconventional for a High Tea (and so did I), but it ended up being the perfect fit. These are crunchy enough that you can savour eating it through an entire cup of tea, but small and light enough that it doesn’t stop you from enjoying all of the other miniature goodies. They are very fast and surprisingly easy to make, and also offer many opportunities for personal variations. Enjoy playing around with the recipe and eating these with a good cup of coffee or tea. 2. In one bowl, beat butter, sugar, eggs and vanilla until smooth. In another bowl, stir together flour, cocoa, baking powder and salt. 3. Add the flour to the egg mixture and stir until almost combined. 4. 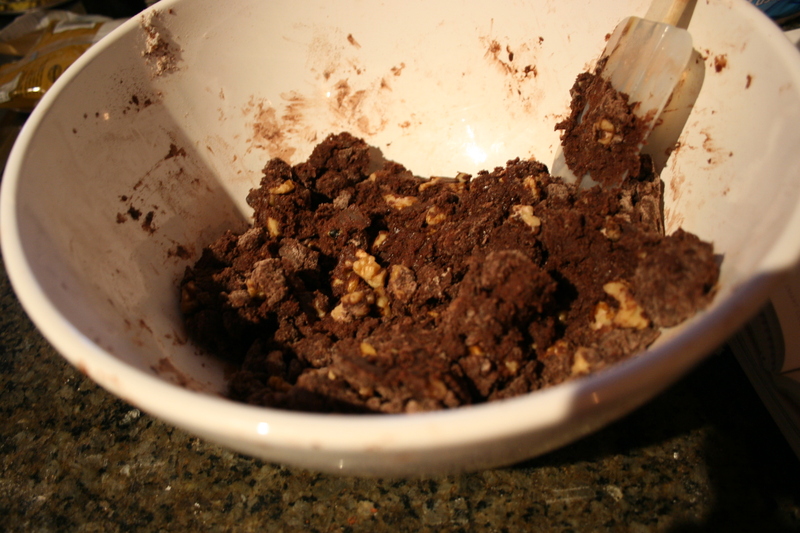 Add the chocolate chips and walnuts and stir until *just* blended. 5. 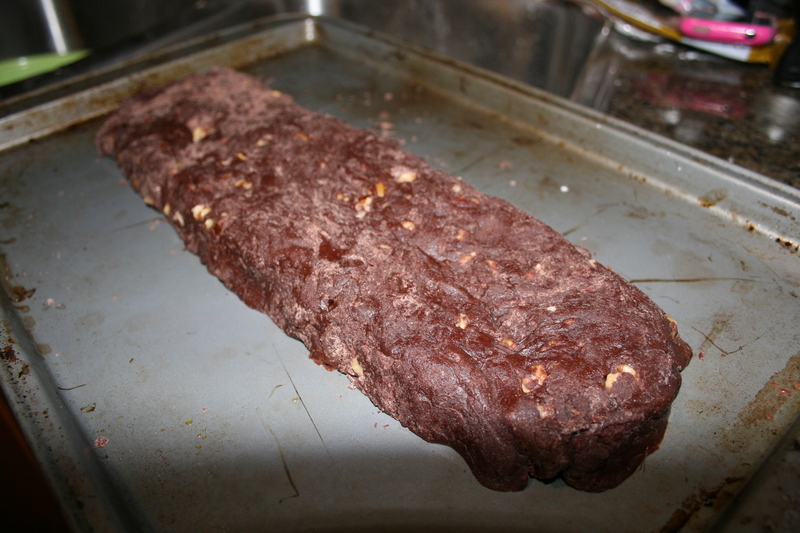 On a greased cookie sheet, shape the dough into a 10 inch long log (see photo). Flatten with your hands until it is 3-4 inches wide. 6. Bake for 30-35 minutes , until firm and cracked on top. 7. Let cool until you can handle it easily, and then cut diagonally (if you cut them when they are still fairly warm, they will be more likely to crumble). Enjoy! 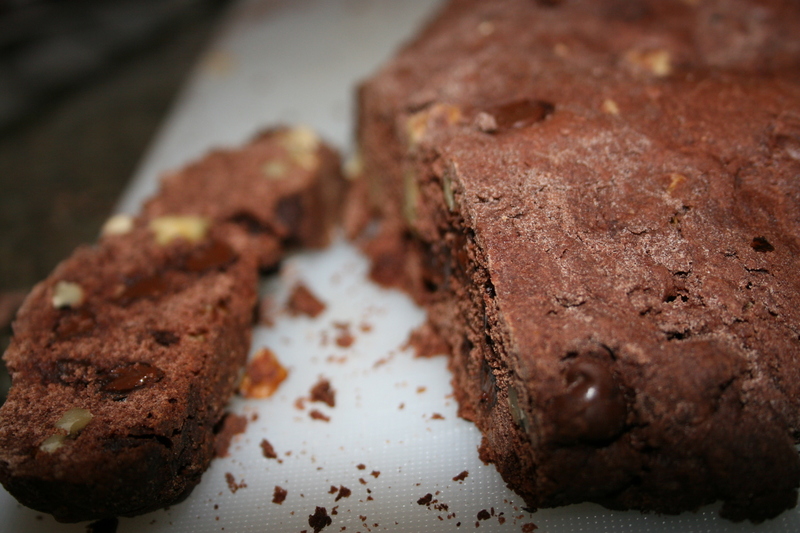 This entry was posted on Saturday, June 18th, 2011 at 3:47 pm	and tagged with biscotti, Chocolate, tea party, walnut and posted in Breads and Quickbreads, Chocolate, Desserts. You can follow any responses to this entry through the RSS 2.0 feed.